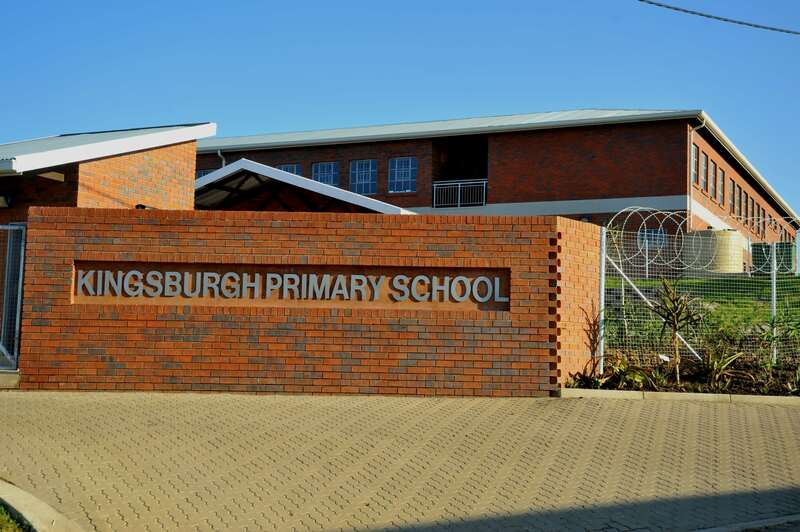 TOUCHING LIVES: Completed structure of Kingsburg Primary School to benefit learners within the KZN region. Thousands of learners in KwaZulu-Natal (KZN) are benefitting from the department of education’s infrastructure programme that is currently being implemented by the department, assisted by the Coega Development Corporation (CDC). The programme includes the renovations and upgrades of ten (10) schools in the region with a total value of R576 million. The role of the CDC as a Programme Implementing Agent (PIA) is to assist the department of education eradicate the schools infrastructure backlog, which include amongst others addressing the poor infrastructure facilities constructed from inappropriate material (“inappropriate structures”), including mud schools. The schools infrastructure programme is in accordance with the National Government’s Plan to improve the learning and teaching through the delivery of quality infrastructure;“providing infrastructure that exceeds the minimum norms and standards for educational facilities in South Africa; and helping to restore dignity and pride for people who had gone far too long deprived of facilities that are taken for granted elsewhere,” said Dr. Ayanda Vilakazi, CDC’s Head of Marketing, Brand and Communications. Working together with the KZN department of education, great milestones have been achieved beyond the bricks and mortar, which include amongst others an increase in Small, Micro and Medium Enterprise (SMME) procurement expenditure that has resulting in 107 SMMEs benefiting from the programme. The schools that are currently benefiting from the department’s infrastructure programme are located throughout the KZN province and includes, the La Mercy Maths and Science Academy; Glenngarry Primary School; Goodhome Secondary School; Hhoye Secondary School; Mbongeleni Primary School; Umsilinga Primary School; Ebuhlenibenkosi Secondary School; Westmead Secondary School; Khindi Jobe Primary School and Ukhanyakomsinga Special School, to mention but a few, says the CDC’s Programme Director for KZN, Nolundi Keti. “Not only is the programme going to benefit approximately 6072 learners in the KZN region, other small businesses and communities in the region will also benefit from the ongoing SMME training and development programme, focusing on bricklaying, carpentry & joinery, and plumbing,” added Keti. The MEC for Education in KZN, Honourable Mthandeni Dlungwana, whilst speaking about the measures to improve the state of education in KZN, highlighted some of the focus areas for the department, which include improving basic school functionality; effective curriculum delivery and learner attainment; assessment of learning; teacher development; district monitoring and support; special support of ELSEN schools; career guidance; promotion of reading and stakeholder participation. “In this province, we have decided to pay special attention to the provision of Special Needs Education, which includes working towards broadening access to free and quality education by lowering the burden of costs associated with educating children in Special Schools. Also, of concern are the rising costs in fee paying schools which deepens the divisions between the education system for the rich and for the poor,” said the MEC. As a result, through the use of its expertise, the CDC has been at the forefront of improving infrastructure on behalf of government departments in SA and will continue to do so in order to contribute towards improving the lives of learners and levels of optimum learning and teaching in KZN and South Africa,” concludes Dr. Vilakazi.